There has been a lot of talk about Amazon’s future in grocery and what steps the current players in the industry must take towards modernizing the grocery shopping experience. Retail is moving toward a more personalized and individualized future through data and technology, but grocery retailers are still waiting to catch up and have remained unchanged for close to a century. I’ve repeatedly said that nothing in retail is more personal than grocery, and to the immigrant population of the United States, nothing is more personal than their ethnic grocery store: the only place that not only serves their daily needs but reminds them of home. Ethnic grocery is the final frontier for the personalization of grocery retail. The growth and popularity of Hispanic grocers like Superior Grocers and Pan-Asian grocers such as H Mart and Patel Brothers have contributed to an ethnic grocery industry that is currently valued at $37 billion and is expected to grow at a CAGR of 5.1% through 2023. Shopping for ethnic grocery has not changed in over 50 years though, and as ethnic consumers are becoming accustomed to the conveniences of other platforms and technologies, they are going to demand the same from their ethnic supermarket. The Indian consumer is the fastest growing ethnic demographic in the United States. Growing at 6% year over year, the 4 million Indians consumers are a valuable, underserved market with a spending power of $266 billion. When compared to other ethnic demographic groups, Indian have among the highest annual spend on groceries. On average, between 60% to 70% of groceries are purchased at an Indian grocery store, which equals an estimated market size of $5.1 billion by 2021. Manav Thaker and Sajal Rohatgi, cofounders of Subziwalla, understand the Indian consumer better than most. 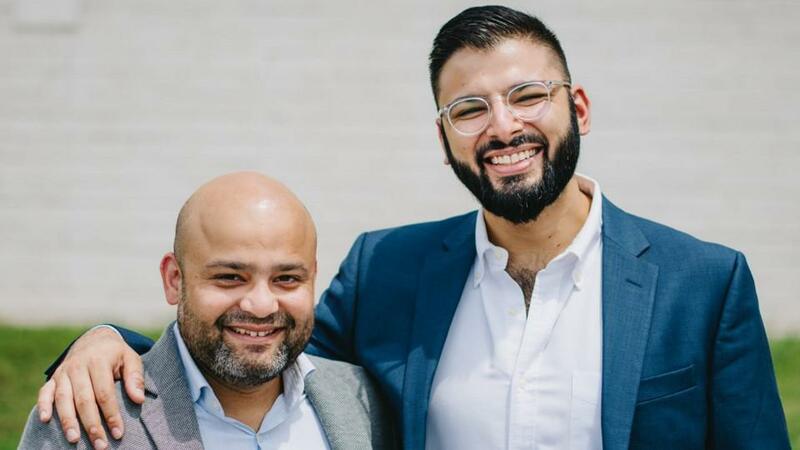 Rohatgi, an Indian national and Thaker, a first-generation Indian-American, met in Atlanta in 2016 and bonded over their mutual love of onions, a common condiment for Indian food. They cooked a lot at home, and while they agreed to disagree about which onion is best (red or yellow), that conversation quickly uncovered their shared frustration of having to travel over an hour for their weekly Indian grocery run. This was not the first time they had this problem. Rohatgi, who moved to the U.S. in 2007 to study at the University of Illinois at Urbana-Champaign, quickly realized that he was going to have to make the two-hour trip to Chicago in order to get the ingredients he needed to make his favorite meals. He was accustomed to the ease of access to fresh vegetables and other Indian household staples delivered right to his front door in India, but that was not the case anymore. Thaker’s family moved to the U.S. from India in the early 1980s and found themselves in central New Jersey. Thaker’s family is the typical Indian-American family that never missed a family meal at home. He grew up traveling one hour every Saturday to the nearest Indian grocery store to stock up on his family’s favorite Indian ingredients. The brands and specialty vegetables that were readily available to his parents in India were now something that they needed to search for hours to find. And once they found it, the quality of ingredients wasn’t always the same. It was important for Thaker’s parents that their kids know Indian culture through their home-cooked food. Manav and Sajal’s stories are not unique—they are a shared experience of the Indian diaspora that resides in the United States. Understanding The Indian Consumer Living In the U.S.
Indians make up 1% of the population the U.S. and comprise 8% of the founders of high-tech companies—and one-third of technology startups in Silicon Valley. India is a widely diverse country made up of various languages, religions and cuisines, and though the Indian immigrants have surpassed mere assimilation, they still place importance on retaining their sense of Indian culture. As families migrate West, they find different ways to hold onto and, most importantly, pass down their traditions to future generations. While there may be a loss of language, religion or other daily customs through the generations, cuisine is a lasting tradition that is always successfully passed down. Much of Indian culture and traditions are centered around food and practice of sharing meals together as a family. They take extreme care in selecting the unique ingredients and spices used to make the regional dishes that take immigrants back to their fondest childhood memories. Based on discussions with executives at U.S. grocery retailers, far too many believe they can take a “one size, fits all” approach when it comes to stocking an assortment of Indian food. My advice to executives at U.S. grocery retailers is don’t waste your time setting up an assortment of Indian food inside your stores or creating an online marketplace without understanding how India’s history influenced specific recipes and ingredients by region. Food isn’t just for eating in India. Food is a form of expression. I can’t stress this enough. In India, food is not only for subsistence. Meals in Indian households are always considered family time. When I was living and working in India, it was always understood that families ate together. Food is the connective tissue of the Indian culture. It’s how you recap the day, how the extended families get together, and how parents and children find a way to relate with one another. The passing down of tradition through food is exactly why Indian grocery stores are so important to the Indian community. Indian grocery stores offer familiarity to the Indian community giving expats their sense of home. Even first- and second-generation Indians get a better understanding of their parents’ upbringing through those trips to the grocery store. The Indian grocery experience in the U.S. has not changed since the first Indian grocery stores opened in the 1970s. As the population grew and spread throughout the country, smaller footprint food stores opened and tried to meet the demand of the growing populace in more rural areas, but the format has not been updated. Indian grocery stores are always built using the same format throughout the U.S. The larger format stores, which are over 20,000 square feet, have a greater selection and lower prices. But they are always built outside of a metro area, which requires shoppers to travel for more than hour or more to the store. The smaller stores don’t have the product selection that shoppers want, and its prices have a markup of 50% to 100%. My research indicates that there are no entrenched retailers offering Indian consumers a local and convenient grocery experience. Fair-priced and high-quality Indian groceries are inaccessible to the majority of the Indian population throughout the United States. 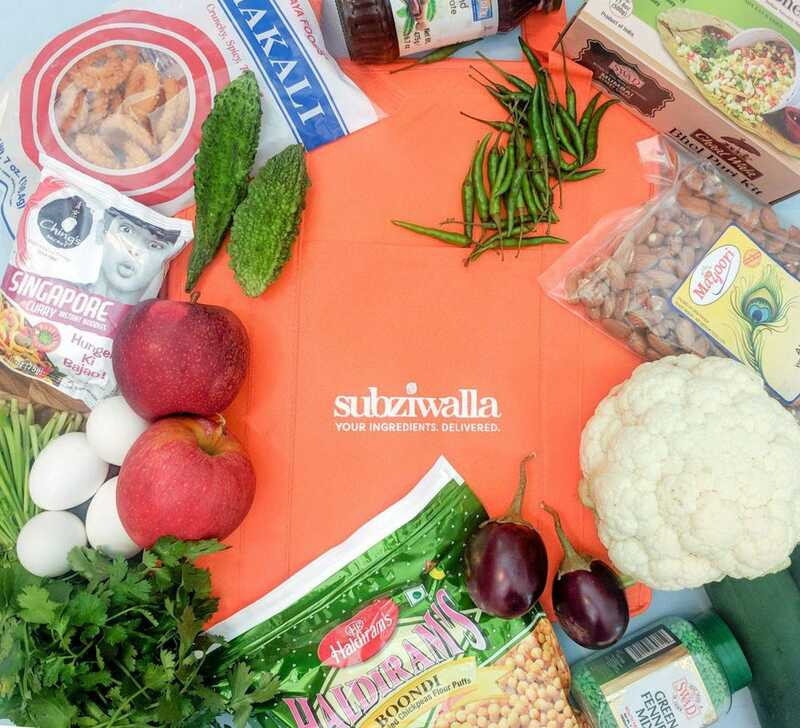 Subziwalla, which translates to “The Vegetable Seller” in English, is an Atlanta-based company that launched in April 2018 with the goal of delivering fresh produce, frozen items, and over 4,000 Indian food and ingredients directly to its customers’ doors. The company allows shoppers to buy all their daily groceries quickly and in one place. Subziwalla provides much-needed (and convenient)access to the ingredients Indian consumers need and want at a fair price. The online model eliminates the needs for shoppers to travel long distances to buy groceries. What sets Subziwalla apart from other Indian grocery stores is the personalized approach to meeting customer demand. Messers. Rohatgi and Thaker have shown their continued commitment to Subziwalla’s customers by including them in the journey and decision-making process. Every effort is made to solicit candid feedback about the performance of the store through calls and surveys with customers. Subziwalla values its shoppers’ time and have built the service from the ground up to provide customers with the most value and convenience. Something I find very interesting about India is the availability of food from vendors offering local cuisine and juices, retail stores selling products, and massive outdoor markets and bazaars offering literally thousands of ingredients and different foods. Indian consumers that don’t have time to travel and buy food can easily have the food delivered. Subziwalla offers free next-day delivery and has partnered with FedEx to manage the last-mile, giving customers confidence over the handling of their family’s groceries. (Food safety should be a paramount concern for customers that order groceries online for delivery. This article provides an example of why customers must always insist on the highest standards, even from a company like AmazonFresh.) Subziwalla selecting FedEx ensures customers receive the best experience. Subziwalla has also innovated a unique, cold freight delivery method through customized insulated packaging. Designed with the customer’s time and convenience in mind, the packaging keeps orders fresh for up to eight hours so customers don’t have to be home or rush home for deliveries. Because Indian consumers grew up in an environment where fresh food was available in markets and in stores, quality and freshness are a must-have. In order to grow and meet the needs of its customers, Subziwalla continues to expand its product assortment based on customer feedback. To remove any chance of being compared to Indian grocery stores that have significantly increased prices, Subziwalla offers a 100% money-back guarantee and provides transparency into its pricing. Focus on the customer has resulted in Subziwalla achieving a 60%-plus retention rate in its first nine months of operation. In addition, the company has achieved quarter-over-quarter revenue growth of 80%. 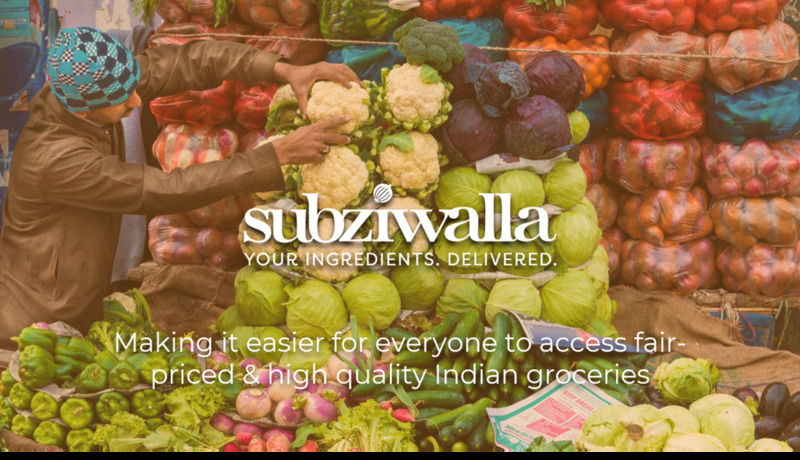 Subziwalla has completely changed the Indian grocery shopping experience. What used to take grocery shoppers a minimum of three hours to complete now takes an average of 11 minutes with Subziwalla. U.S. retailers would be wise to evaluate what Subziwalla has created and launched. The Indian consumer is growing in importance and I strongly advise retailers learn how to serve the needs of the fastest growing demographic in the U.S. I believe Subziwalla will prove to be popular with Indian consumers. However, I strongly recommend that the company add content and videos on its platform to introduce Indian food and Indian-style cooking to other ethnic groups in the U.S. to expand its customer base and increase revenue. As for the future of Subziwalla, I’m confident that the company will find success. However, due to the growing importance of the Indian consumer, I anticipate that Subziwalla will become an acquisition target. It’s possible that Subziwalla may be acquired as early as 2019 or 2020 by a large U.S. grocery retailer. I can’t predict for certain what the future holds for Subziwalla. However, what I can state is that buying Indian groceries is about to become much easier.